Since I live only an hour's train ride away from Washington D.C., I have made it a goal to increase my trips to the District. There's so much to explore in this quirky city, and the density of gluten-free friendly eateries is fairly unmatched to any other city I have been to (except for maybe New York City). 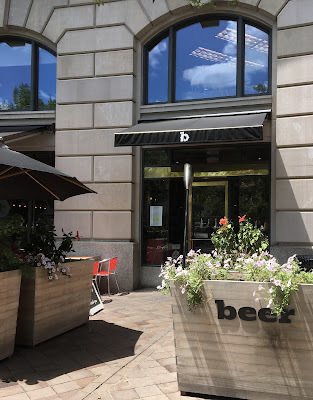 On my latest visit, I stopped for lunch at the Plan B Burger Bar (PBBB), a bit of an unusual choice for me, as I rarely (if ever) order burgers, and am not a huge fan of all-American cuisine. What lured me to PBBB was a bunch of rave reviews from fellow gluten-free travelers on Find Me Gluten-Free and an easily accessible location in Penn Quarter- nestled in the center of town mere blocks from the Smithsonians and National Mall. PBBB is based on three "b"s: burgers, beer, and bourbon. 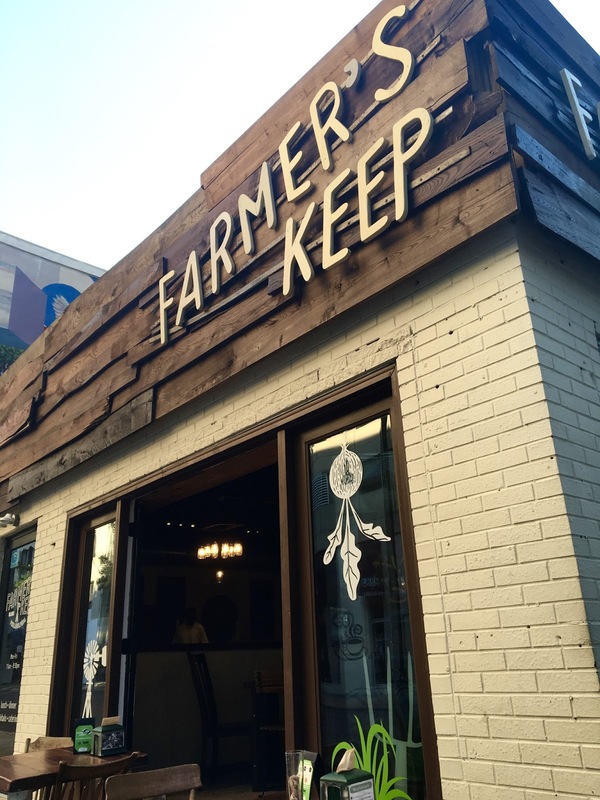 The founders wanted to create a restaurant where people could gather over good, locally sourced food, which definitely sets them apart from other gourmet burger joints. With plenty of tantalizing gluten-free options, I definitely had high expectations going into my lunch. When it comes to summertime cuisine, soup definitely does not come to mind as seasonally appropriate fare. However, when I realized I forgot to pack lunch after heading to work in downtown Baltimore, I turned to Find Me Gluten-Free to source out nearby options to grab a safe gluten-free meal during my lunch break. Topping the list both in both proximity and ratings was Soup's On, a small dedicated cafe in midtown that has a daily rotating menu of soups- clearly labeled as vegan and gluten-free when applicable. 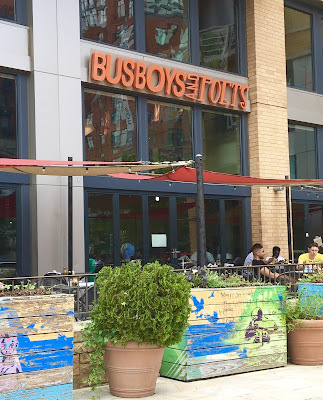 Although their summertime hours are limited, I was able to swing by and pick up a safe meal, and a new favorite go-to lunch spot along the way. Thanks to a commitment to making soup that showcases the season's freshest flavor, Soup's On not only has gluten-free and vegan options, but uses real, fresh ingredients to make soups from scratch each and every day. They do not use canned ingredients, nor do they allow artificial additives or preservatives into their homemade recipes. Soups are designed as low sodium, and are seasoned using fresh spices. 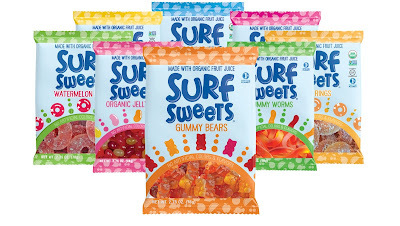 My sweet tooth is more reserved lately, but when given the chance to check out the full line of Surf Sweet's allergen-friendly candies, I could not pass up the opportunity. This innovative company takes your favorite candy shop sweets and de-allergenizes them, making them safe for those on restrictive diets. 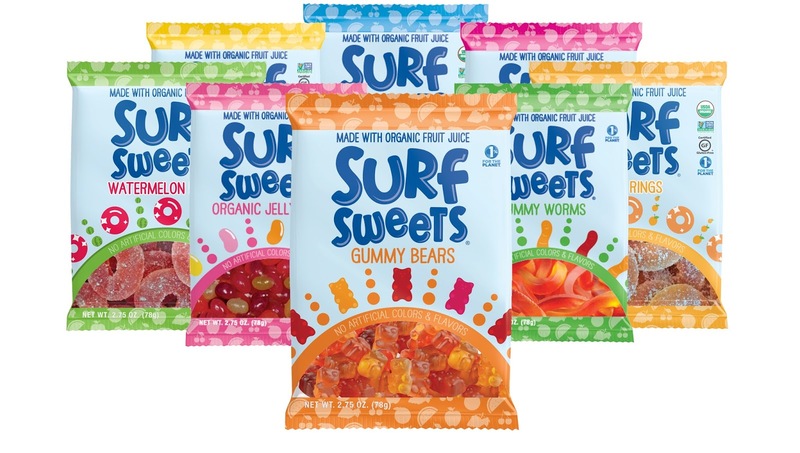 Their full line of jelly beans and gummies is free from the top 10 allergens (and made in a dedicated facility too) as well as corn syrup, artificial colors, and flavors. 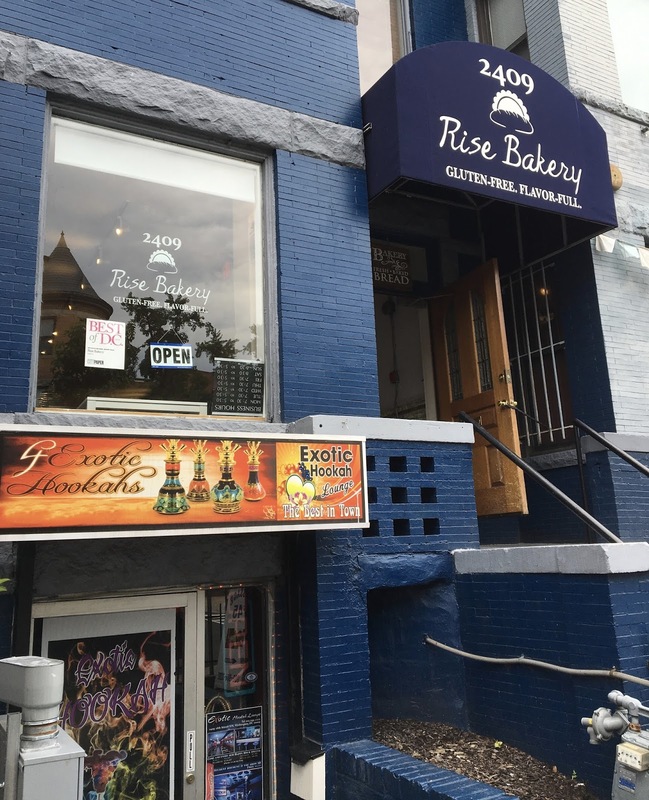 Many of their offerings are vegan, and the candies are sweetened with organic fruit juices. Oh, and most importantly, I can vouch that they all taste great! 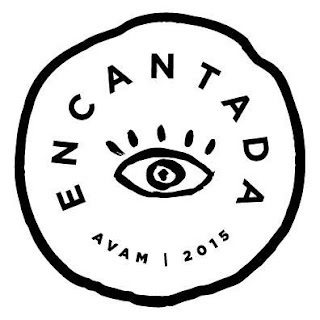 Read on to learn all about this innovative company. Discovering Snap Kitchen in Philadelphia was definitely the highlight of my trip to the historic city. 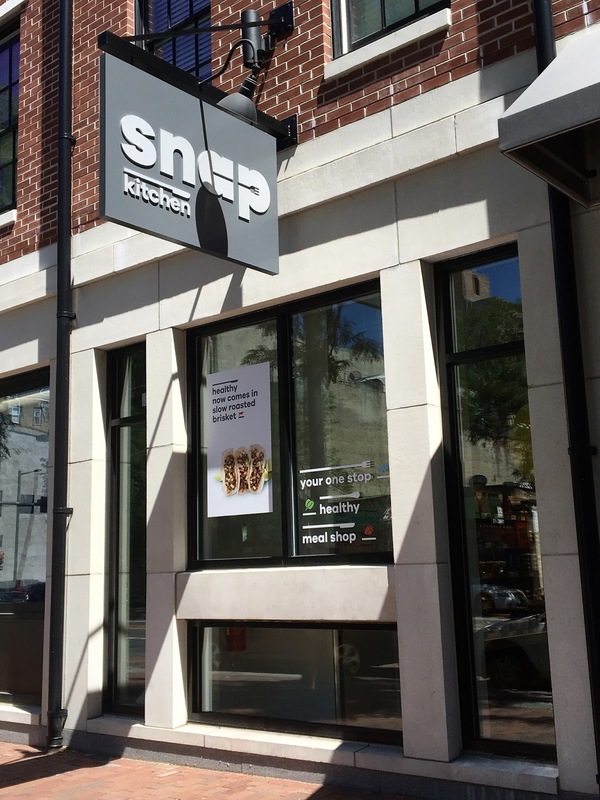 Snap Kitchen is an Austin, TX export whose first foray into the east cost is Philly, with (hopefully) more locations coming soon to the mid-Atlantic (namely D.C. and/or Baltimore). The concept is simple and truly genius, because Snap Kitchen is a perfect merging of a supermarket and and a restaurant, promising top quality fare that is healthy, affordable, and convenient. Each store is stocked with single portioned, premade meals coving breakfast, lunch, and dinner. Diners can choose to enjoy the fare there, using the store's microwave, or take it to any destination for a grab-n-go meal. Most of the dishes are gluten-free, with many labeled as paleo, dairy-free, or vegan, to help people find fare perfect from them. From meat eaters to plants-only foodies, there's something for everyone at Snap Kitchen, and this review delves into the lunch and dinner entrees I tried. For my breakfast review, click here. As a busier than ever college student tackling classwork, internship, and working this summer, my free time has been dramatically reduced, leaving little time to eat out or cook from scratch. Most days, I rely on microwave-friendly fare, which rightly has not earned a reputation for health or taste value. However, while in Philadelphia, I stumbled across Snap Kitchen, an Austin, TX export that recently set up their first East Coast locale in Philly. Snap Kitchen is an innovative shop that perfectly captures the fun of gourmet cooking without the mess of... well, actual cooking. The location I visited was in the historic part of Philly, located just a few blocks from Independence Hall, the Constitution Center, and other landmarks from this history-rich city. What is so revolutionary about Snap Kitchen is that they stock pre-made breakfast, lunch, dinner, and snacks that are primed for grab-n-go convince but made from real ingredients that you can actually pronounce. Everything is individually portioned, and labeled to accommodate various allergens and special diets (vegan, paleo, etc. ), and user-friendly, requiring only a reheating in the oven or microwave to bring the food to life. I sought out Snap Kitchen namely for breakfast (as the hotel I was staying at had few- if any- safe options), however, once realizing what a treasure trove it is, I stocked my family's travel cooler with lunch and dinner selections, which I will focus on in an upcoming post. 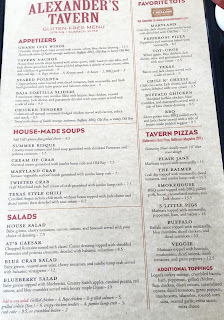 Alexander's Tavern in Baltimore's Fell's Point neighborhood is a restaurant that has been on my radar for awhile for their quite extensive gluten-free menu. After returning from Philadelphia, I suggested the Tavern as an ideal place to grab dinner to enjoy the historic setting and wonderfully pleasant Baltimore summer weather. Fell's Point is a historic waterfront neighborhood just east of upscale and tourist-ridden Harbor East. It has historic nautical roots and has been a lively Baltimore neighborhood since the 18th century. 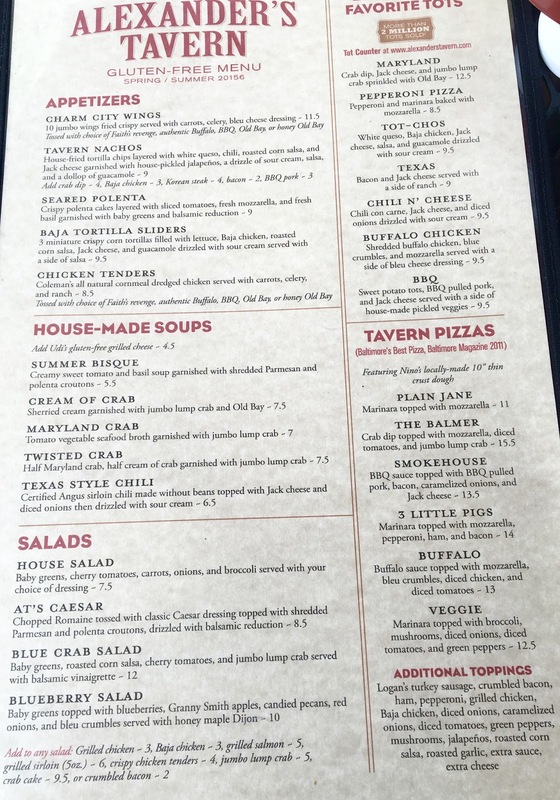 Alexander's Tavern is tucked along the many boutiques, bars, and cafes along the brick and cobblestone streets and offers an extensive menu of all American tavern fare with a focus on the flavors of the Chesapeake region. From seafood to burgers and tacos to tater tots, the menu not only is varied, but a gluten-free gold mine too! 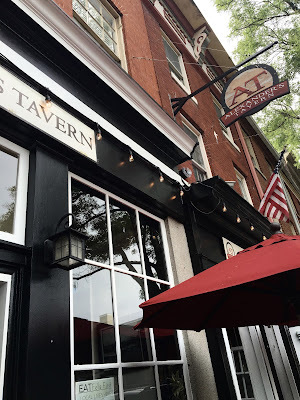 As I found out, Alexander's Tavern is definitely a Baltimore institution to note for both locals and tourists alike.